Looking for New Orleans cuisine in the Tri-state area? Don’t worry, I’ve found the place! Located in Milford, CT, Queen Zuri New Orleans Delicacies is the place to be to fulfill all of your N’Orleans cravings. 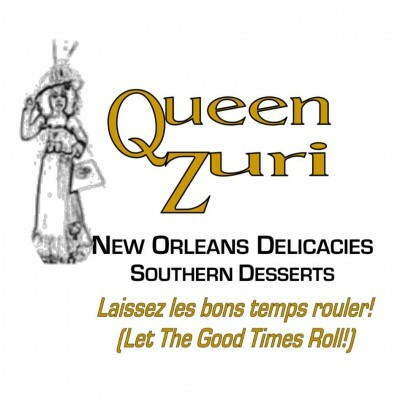 With southern dishes ranging from Gumbo to Shrimp & Grits, to Po’Boy Sandwiches and quite-possibly-baked in Heaven desserts, Queen Zuri is guaranteed to exceed your expectations! Its classic décor will captivate you upon arrival and the decorative display of desserts will leave your mouth watering. Surely, you’ll feel as if you’ve stopped by your Grandmother’s kitchen. I know I did! I decided to pay Queen Zuri a visit one sunny Friday afternoon. The owners warmly welcomed me and offered me a menu, but I already knew what I wanted. Prior to visiting, a close friend recommended that I try the Shrimp & Grits. She told me they were amazing so I had to try. Now keep in mind, I’m a Northern girl but I had a Southern upbringing! Queen Zuri’s Shrimp and Grits are unlike any other! This dish doesn’t stop at the usual well-seasoned shrimp and cheese grits. Additionally, Queen Zuri includes pieces of smoked bacon, sausage, and collard greens with an array of seasonings that offer the perfect touch (and kick) to the delicious dish! The next time you’re in the Milford area, be sure to stop by Queen Zuri for impeccable customer service with a Southern flair! I know I will!